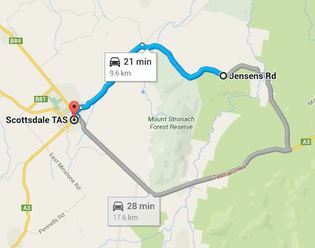 This is a ripper of a downhill ride with self-shuttle available. Total drop from alpine ski resort is 1050 vertical metres, done over 20 km. 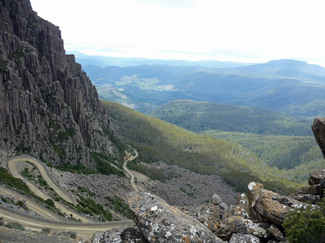 Starting in the alpine Ski Village at 1450m, this awesome trip takes you down the spectacular Jacobs Ladder road before connecting to old four wheel drive tracks through the eucaplypt forests. 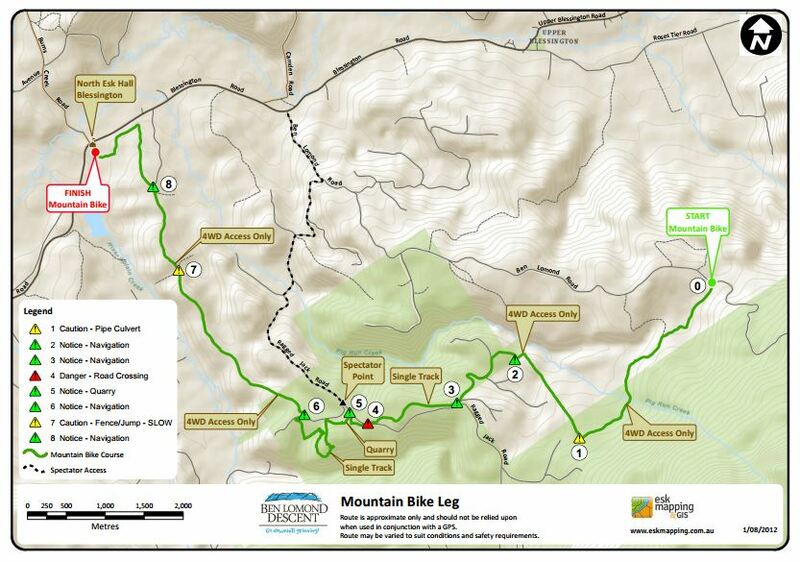 There is also a fantastic single-track section, part of the annual Ben Lomond Descent multi-sport race. It then continue on fire trails and other single tracks to finish on the Blessington Road at 400m. Great write up and photos about pedaling up and down by Tassie Rambler at this link.